• The aftermath of the PREDATORS storyline leaves Gwen in a VERY different place. • Matt Murdock’s plans all come home to roost, and when you plan like our good friend Murderdock does, you know that ain’t pretty. 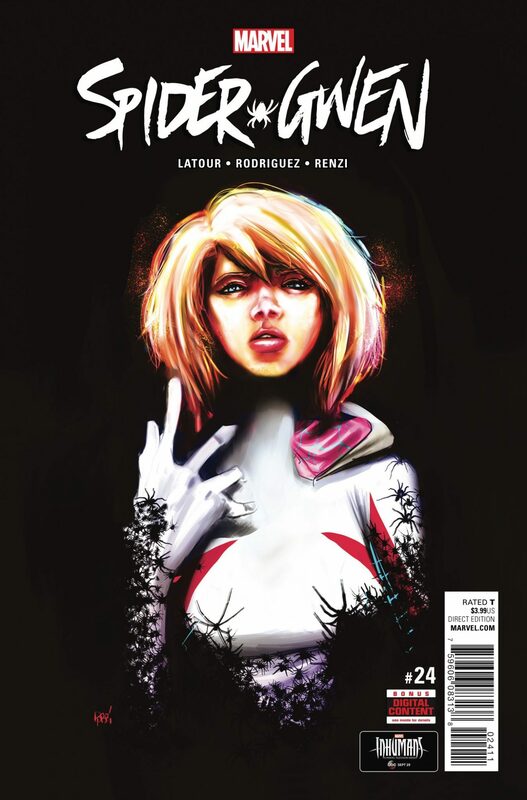 • WHAT IS THE NEXT EVOLUTIONARY STEP FOR SPIDER-GWEN? !